The biggest challenge of blending two images into a single image in GIMP is to find the best settings to make them look really blend. 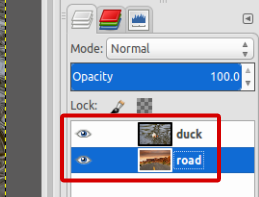 In this tutorial, I will demonstrate how to blend a photo of a road and a drowned duck. 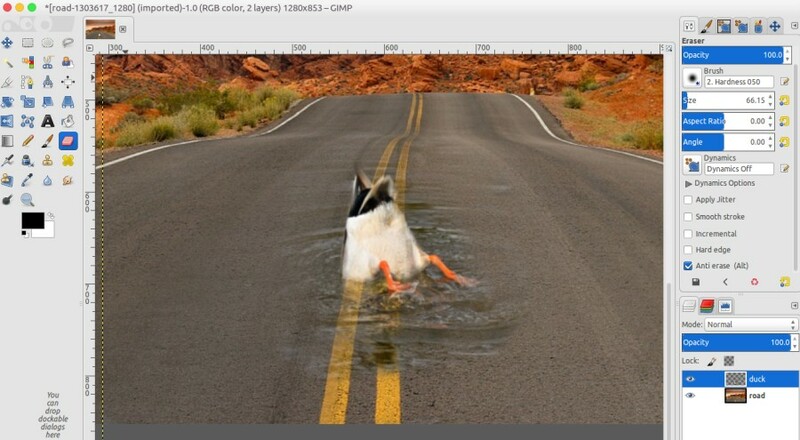 I found a funny photo of a duck drown on a pond yesterday. The photo looks funny with the duck’s head dive into the water while the rest of its body remains on the surface. 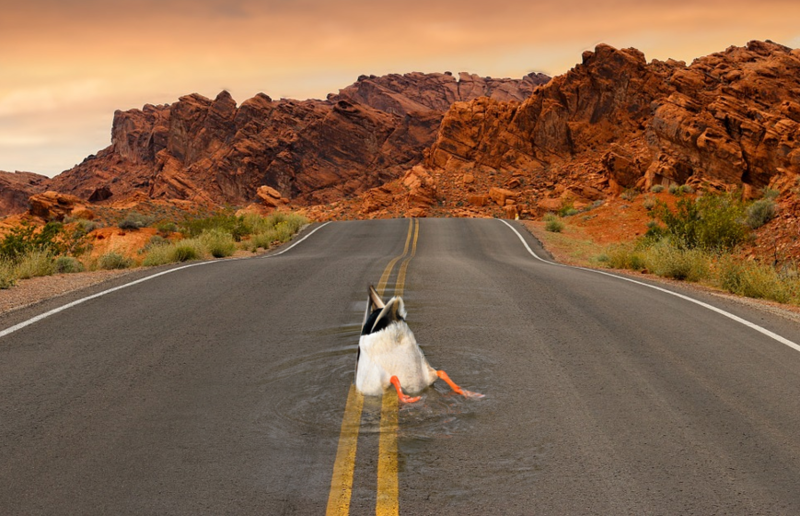 I will change the pond with a road so the photo will look as if the duck is drowning on the road instead of pond. No complex settings are required at all. You will just need to use the Eraser Tool with a bit adjustments. The very first thing you need to do before stepping further with the blending process is nothing but open the two images you want to blend with. To do so, follow the steps below. Go to File -> Open. Go to File -> Open as Layers. From the steps above, you will have two layers. Before working with the Eraser Tool, first you need to set the scale and position of the duck. Use the Scale Tool as well as Move Tool to do so. Make sure you select the duck layer. See the screencast below. This is the main section of this tutorial. Use the Eraser Tool to erase the water around the duck. The erasing process itself is divided into two phases. For the phase 1 you can set the brush type to “Hardness 050” with the opacity set to 100, while for the phase 2 you can set the brush type to “Smoke” with the opacity set to about 50. With the Eraser Tool selected, erase the water and reserve some water close to the duck’s body. Change the brush size if needed. Still with the Eraser Tool, change the brush type to “Smoke” and lower down its opacity to about 50. The opacity can be vary depending on the images you use (in case you use different images). 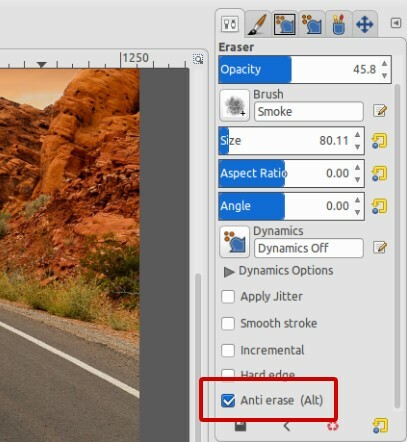 With the Eraser Tool selected, erase the remaining water. Do this carefully and reserve a very small amount of water to give a wet look to the road. Again, change the brush size if needed. Once you are done erasing the water and the duck’s body, set the brush type of Eraser Tool back to “Hardness 050”. Also set the opacity back 100. Then, check the Anti erase option. With the Eraser Tool selected, erase the duck’s body to recover the erased body’s region. Before erasing, zoom-in the image and set the brush size. Done! Following is the example of this tutorial.